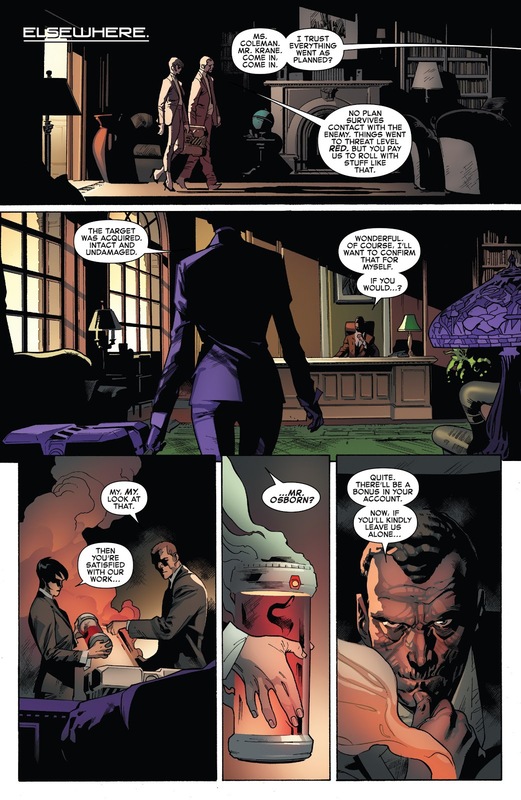 Wait, didn't Slott restore Osborn's sanity? 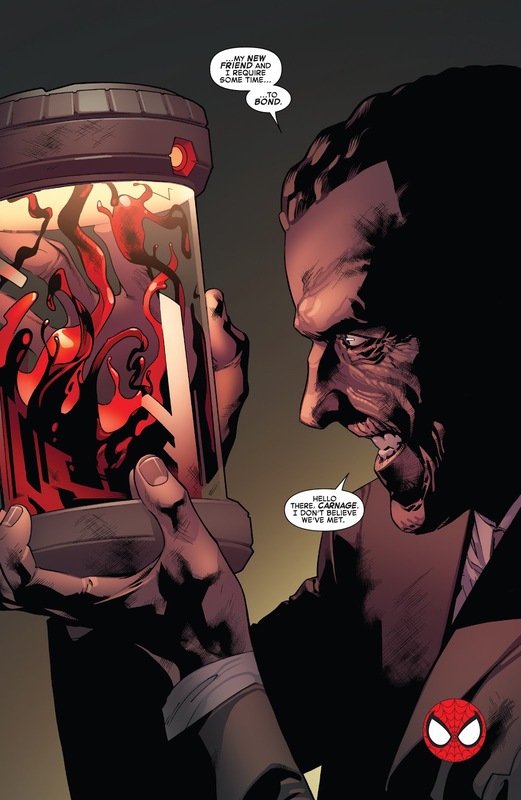 Trying to control the Carnage symbiote is something a crazy person does. He’s actually trying to become crazy again. Is that Scorpio part of Nick Fury's family or a new one? 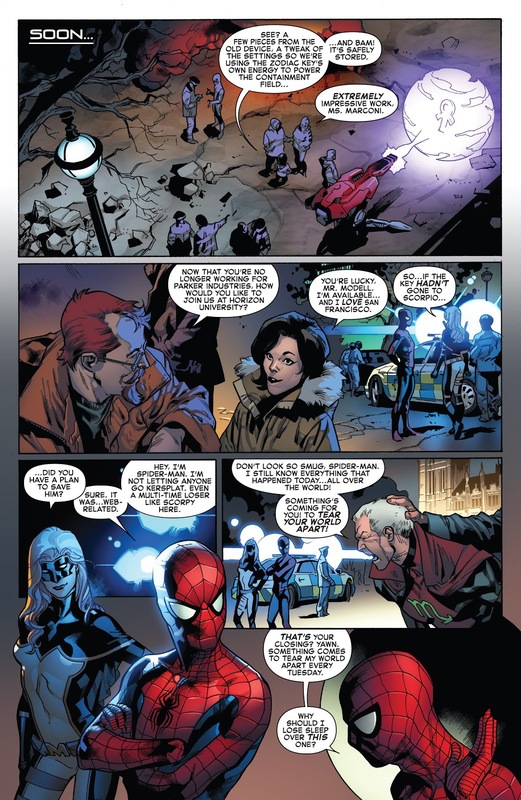 While I have a lot of issues with Slott's run what Osborn is doing does make sense. 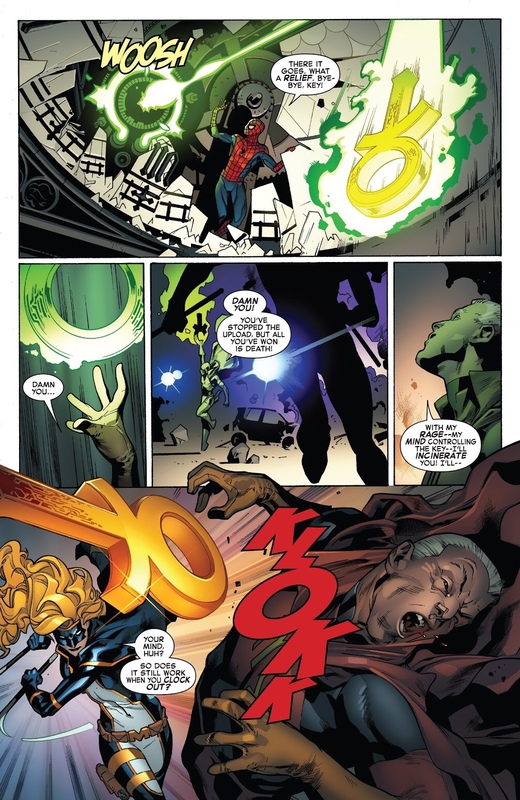 Bendis raised a good point during his tenure on Avengers when he suggested super powers are addictive. If you lose them you find yourself doing almost anything to get them back, or some sort of power. So Osborn doing crazy things to get back in that ultra exclusive club, up to and including crazy man stuff works for me.